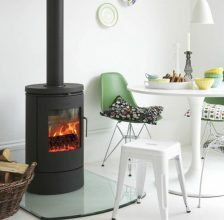 Wood Burning Stoves create the perfect focal point in any living room, whilst still providing an excellent heat source. 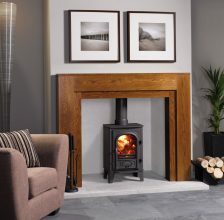 At The Leeds Stove Centre, we have an extensive choice of wood burning stoves all available for delivery throughout the UK. 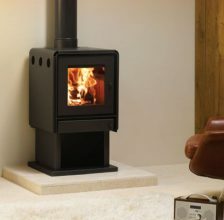 We have a large styles, colours and brands to choose from, all of which we have carefully selected to ensure that we supply only the very best stoves. By installing a new wood burning stove into your home, you are going to benefit from a much more eco-friendly way to heat your home, whilst also still keeping the costs down. When the stoves burn the wood fuel, they release carbon dioxide into the stove, many wood burning stoves do not simply just release this into the atmosphere. 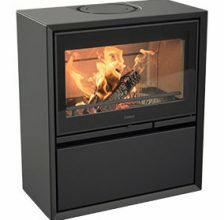 Due to technological advancements with wood burning stoves, many now feature clean burn technology. This means once the gases are released from the stove, they are then fed back into the fire to burn off any excess gases. The Carbon Dioxide that is released during the burning process is the same that would be released if a tree was to fall and rot in a forest. Therefore making this fuel choice extremely environmentally friendly (Even more so if you plant a tree for every tree you use!). 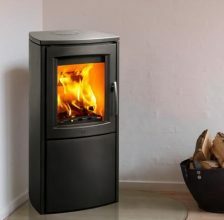 Leeds Stove Centre like to offer an excellent variety of wood burning stoves, therefore we stock a huge selection of brands, styles and colours. 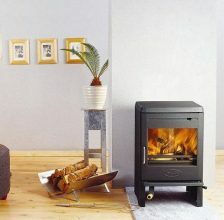 Whether you have a large living room or small living room, we have the perfect stove for you! There is nothing better than sitting in front of a wood burning stove on a cold winters evening feeling snug and secure. Due to certain areas having smoke control enforced, it is important that you check whether you are in a smoke control area before purchasing your wood burning stove. Due to some homes being situated in smoke control areas, we suggest that you browse through our DEFRA Approved Stoves if you are affected. You can see if you live in a smoke control area here. 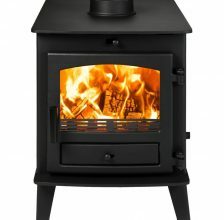 Installation of your stove should not be done by yourself, you should always use a professional stove installer. 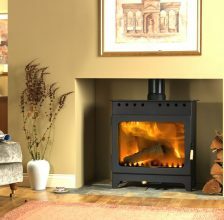 Leeds Stove Centre does offer a stove installation service should you want us to install your new wood burning stove for you. 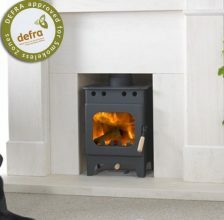 All of our highly experienced stove installers are HETAS approved and Gas Safe Registered.